True Crime Wed..Thursday: OMG Have You Seen This Channel? After switching to AT&T Uverse, my television life has completely transformed. The amount of channels now available to me at a shockingly reasonable cost is, quite frankly, what our forefathers dreamed of when coming up with the televised miracle that is America. It’s a really good show. 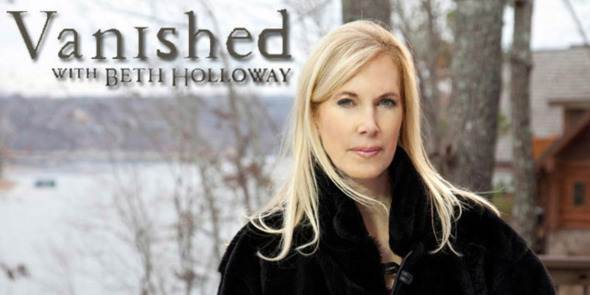 Beth Holloway is surprisingly likable, or lovable if you’re John Ramsey, and does an awesome job of getting the families of the vanished to cry on camera and reveal the gory details of their pain. Nothing ever really gets resolved on the show, so basically we’re just voyeurs of personal tragedy. My main take-away is to never go to Aruba. “Vanished” appears to have been cancelled on Lifetime, and now lives on in reruns on CIN, thank God.